I hear that the new Superdrug MUA £1 range *should* be landing in around 80 of Superdrug’s brick and mortar stores on Thursday, I’m not sure which ones will be getting stock… but if you’re passing, pop in and let me know if yours is one of the lucky ones! Mine doesn’t even have a Sleek MakeUP stand, so I’m not gonna hold my breath! Also… the entire MUA range will be available to purchase online from Superdrug.com, perhaps this means that they will start adding the full ranges from other brands to the website… I live in hope! the make-up looks nice! cant wait to try it out! I shall comment briefly: yes, you live in hope. Now that I’ve fully ranted about this issue on twitter earlier, I’ve calmed down and would like to think of the superdrug website as a little taster or teaser of all the lovely goodies awaiting for us in a traditional physical shop. maybe superdrug has a very low budget after all, this could explain the ‘tj hughes’ music they have on: can’t afford the god awful sugar babes so they’ll have a sound alike of the sugababes singing instead. Oooh hoping mine will be getting it. Doubt it though. Also i hate the Superdrug website, it drives me mad! Its in my local Superdrug (Stratford, East London). I went along on Saturday and bought: 1 pressed powder, two eyeshadows and a lipstick. The range of colours is great (some of the colours are as good as anything barry M does). The packaging doesn’t look too cheap (better than Collection 2000 or miss sporty, think more Rimmel). 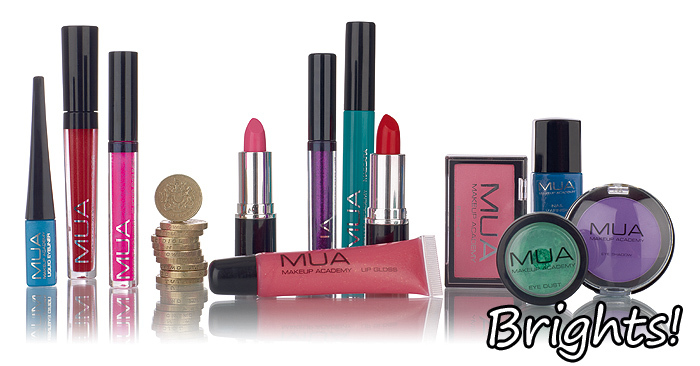 The products feel great (the lipstick actually feels really creamy and moisturising). I hope they roll out this range to all Superdrugs – its bound to be a winner. The main one in Nottingham (Clumber Street) has it, dunno if it is the full range though. I got a couple of eyeshadows that do what they say on the tin pretty well. Didn’t really fancy the nail varnishes, there is nothing I don’t have one similar to already.